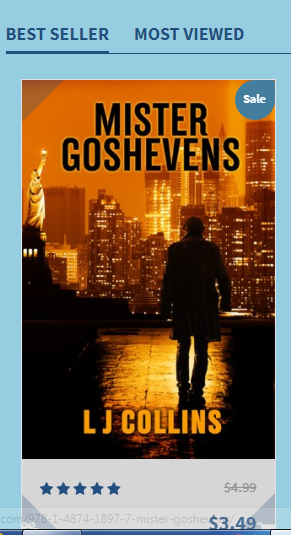 Mister Goshevens is a self-made multi-millionaire who’s shrouded in mystery and judged purely on speculation. Remi was expecting nothing more than a fun holiday in New York with his friends, but their plans get changed when they discover Mister Goshevens is looking for something his fortune just can’t buy—love and happiness. Remi and his friends are sent a series of cryptic rhyming clues that lead them one step closer to Mister Goshevens. There can only be one winner, and Mister Goshevens decides who leaves his game, and when. The chosen man finally gets to meet Mister Goshevens and sample his charm and the euphoria he can inject. But for all that he gives, he expects something in return, and the stakes are high, as the winner doth learn.